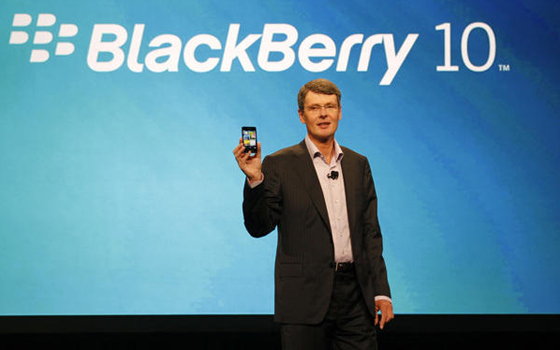 Update: An insider close to BlackBerry has noted that while CEO Thorsten Heins statement implies a shift away from the consumer market, nothing has been confirmed just yet. All will only be revealed at the official BlackBerry earnings call on September 27. BlackBerry released an early earnings book call early this morning, and it doesn’t look good for the struggling Canadian company. Its previous flagship, the BlackBerry Z10 – running on the company’s new BlackBerry 10 platform – cost the company losses between $930 to $960 million, resulting in what appears to be a move away from the consumer market. 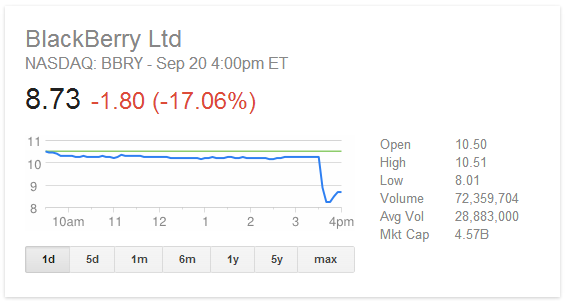 In its earnings call, BlackBerry attributed its massive losses due to the tepid response of the BlackBerry Z10. Launched in January after several delays, the Z10 was the company’s first full-touch smartphone which failed to convert its existing user base and convince neutrals to its new BlackBerry 10 platform. The company did not reveal its actual sales numbers, but CEO Thorsten Heins stated in June that the company only sold 2.7 million units of the Z10. As a result, the company expects to post losses close to $1 billion in its most recent quarter alone. The BBC noted that shortly after the announcement, shares of BlackBerry Ltd in NASDAQ plunged 17% before trading on the share was halted. The company will look to focus on what it calls the “prosumer” as well as the enterprise market – traditionally its strongest market. Just about the only shining light in the midst of all the gloom is the rise of the number of installations of BlackBerry Enterprise Service (BES) servers, jumping 67% in just three months. Moving forward, BlackBerry will only be focusing on four smartphones in its portfolio: two in the high-end, and two entry level models. 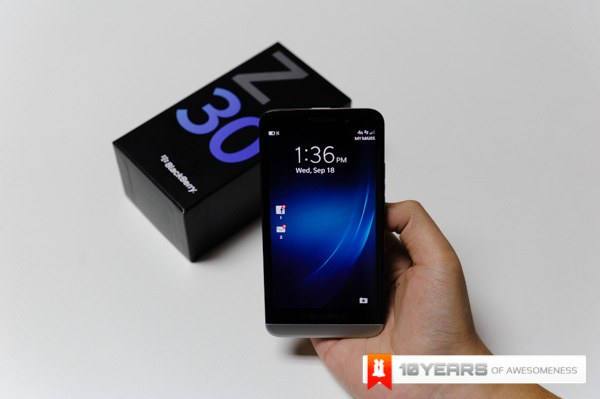 The Z10 will be moved significantly down and marked as an entry-level device – which is in line with Celcom’s recent offering of the Z10 for free with every purchase of the new Z30 flagship smartphone that replaces it. It is also worth noting that the new Z30 is a competitively priced top-tier professional device, which could help in its adoption among enterprise consumers. Whether or not it helps the company in the long run remains to be seen. In the meantime, the company continues to look for “strategic alternatives“.